December 5, 2018, Hong Kong –– Following the opening of the world’s longest sea bridge that connects 68 million people across Hong Kong, Macau and the 11 mainland cities in the Greater Bay Area, Wilson Parking and Microsoft joint hands to launch the first cloud parking solution for the Hong Kong-Zhuhai-Macau Bridge, aiming to tackle the growing traffic demand and facilitate the usage of the infrastructure. Starting from today, the digital parking solution, which is supported by Microsoft Azure, allows drivers to pre-book parking space at the Hong Kong section with discounted rate through a dedicated website. 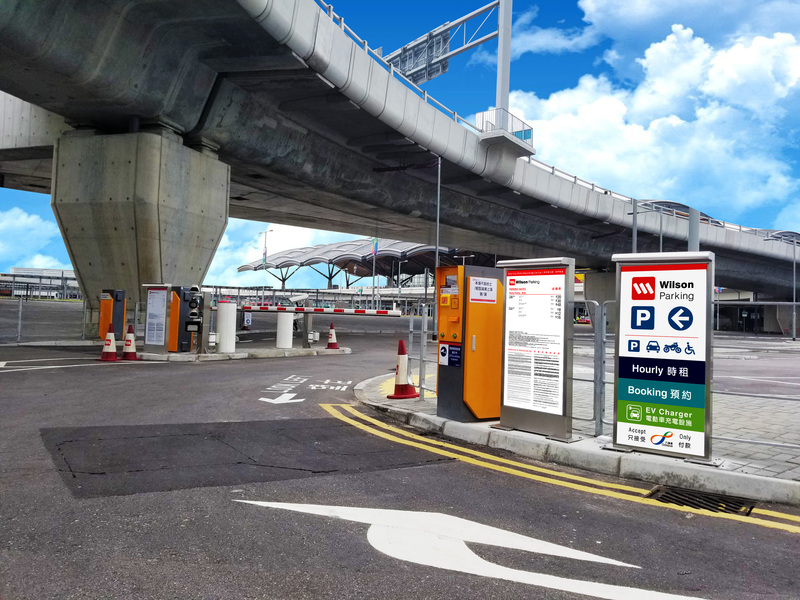 With about 700 parking slots available at the Hong Kong section, Wilson Parking aims to provide a seamless experience to the drivers and ensure the flow of traffic remains uninterrupted. Recent report estimated that the daily traffic volume of the bridge would reach 29,100 and 42,000 vehicles in 2030 and 2037 respectively, resulting in 126,000 daily passenger flow and 175,000 passenger trips. In anticipation of the growing traffic pressure, Wilson Parking has chosen Microsoft Azure, Microsoft’s enterprise-grade cloud computing platform, to provide the scalability and a highly trusted and secured platform. “Customer focus is our company value and we aim to provide convenient and user-friendly pre-book parking services to parkers through innovation and technology applications anytime, anywhere. As we expect a surge in traffic and demand in parking spaces following the opening of the Hong Kong-Zhuhai-Macau Bridge, adapting to the unknown traffic demand while maintain high availability and performance for the drivers through a secured online platform to book parking space is one of the biggest challenges. Microsoft Azure provides a highly stable and secured foundation for our digital parking solution. With this cloud parking solution in place, we are also exploring to expand our partnership with Microsoft to Artificial Intelligence and Big Data to perform demand forecasting and data mining,” said a spokesperson from Wilson Parking. “While Hong Kong-Zhuhai-Macau Bridge connects the flow of people and vehicles from different cities, technology is the key to connect, facilitate and expedite the synergies between people, logistics and capital flow in the Greater Bay Area. Microsoft is uniquely positioned to help Wilson Parking and other companies in the region to succeed in their digital transformation journeys through our agile platforms and solutions that prioritize flexibility, integration and trust,” said Cally Chan, General Manager of Microsoft Hong Kong. Microsoft Azure offers flexibility and on-demand solutions to meet Wilson Parking’s changing needs. With Azure’s infrastructure is designed from facility to applications for hosting huge amount of data simultaneously, it provides Wilson Parking with a wide array of configurable security options and the ability to control them, so that Wilson Parking can customize security to meet the unique requirements of the Hong Kong-Zhuhai-Macau Bridge parking.